Take a stroll outside and look, really look, at your roof on your Okotoks home. Usually you take it for granted it’s there, it has shingles, it keeps the rain out. Now that you’re taking a good look at it, does anything look out of place? Are there shingles that are loose, maybe damaged, or even shingles which have black streaks on them? Are trees touching your roof? If you answered yes to the above questions, then it’s time for a check up from your Okotoks Roofing Contractor. What’s so bad about those things? After all, what’s a little bit of tree hugging on the part of the roof if it’s not leaking? There’s more to it than appearances. Trees can cause a variety of problems. Branches can scratch and gouge roofing material (in other words leaks). Trees falling due to wind can puncture shingles and cause other damage to your roofing. Leaves clog gutter systems and back up water into attics and other spaces inside your house. What about those black streaks? Streaks on your roof are evidence of mold and as you probably know, mold is hazardous to your health if inhaled. Mold grows easily during humid periods, especially on roofs that face north. If you don’t deal with them as soon as possible, they will eat away at the roofing material, and eventually eat through it, causing leaks. If you think you are having problems with your roof and would like a roofing inspection, then please contact your Okotoks Roofing Contractor. We pride ourselves in protecting our Okotoks Commercial Roofing clients and keeping them from the outside elements, and by saving them time and money. We work to complete each project to the satisfaction of each client, and you can rest assured that our crew of diligent, hard working roofers have the qualifications to finish any roof replacement project with precision and ease. We can help you choose the correct roofing materials that ensure that your roof is constructed in a structurally-reliable manner. At Daza Roofing, our Okotoks roof replacement experts specializes in residential and commercial roofing services. We are here for all your roofing replacement needs and would love to show you what we can do to make roof replacement a positive experience for you. 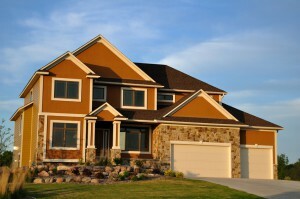 We approach every roof replacement with the highest level of professionalism and quality craftsmanship. Call on Daza Roofing today to find out why countless other Okotoks homeowners have chosen us for their roof replacement. 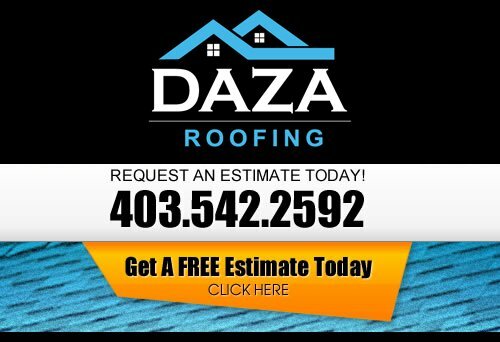 At Daza Roofing, our Roofing Contractor wants to be your Okotoks Roofer. If you are looking for a professional Okotoks roofing company, then please call us today at 403-542-2592 or complete our online request form for a free estimate.